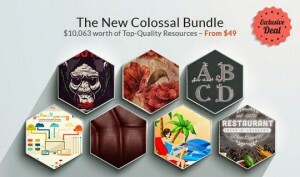 Inky Deals came up with the biggest design bundle ever, the immensely popular The New Colossal Bundle with $10,063 worth of Top-Quality Resources – From $49. And because they’re our friends, they’re offering you an exclusive $9 discount coupon, so you can get this amazing deal at an even lower price! 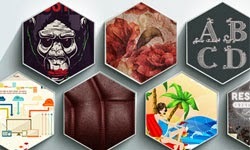 Use the code INKYCOLOSS9 at checkout. This entire bundle comes with an extended royalty license, meaning you can use the resources in an unlimited number of personal and commercial purposes, and even merchandise for sales, such as: T-shirts, hoodies, mugs etc!